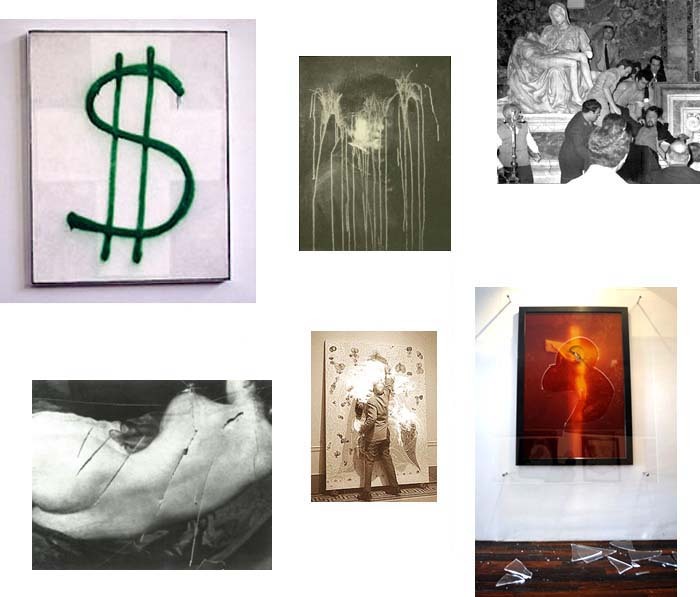 Art Damaged is a research project documenting acts of art vandalism, with a focus on incidents having occurred in formal exhibition settings since the 18th century. As of 2019, the accumulated research has been translated to a multimedia presentation, with speaking engagements scheduled across the country. Publication of a printed edition is also in the works.